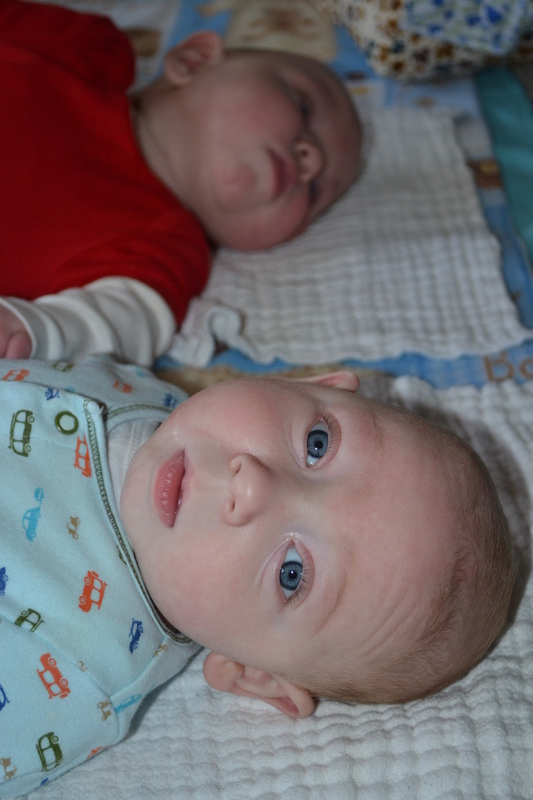 Nolan’s neck: Both boys turn their heads right and up. If you’ve paid attention in photos where they are laying down, you’ve likely already noticed that. They CAN turn their heads left, but generally don’t choose it. And in Nolan’s case, even if I start him on the left side of his head, he usually switches it quickly. The result of that is that his skull is forming with a flatter spot on the back right. Not only that, but we’re starting to worry about his neck muscles. Uneven strength/tightness can become a compounding issue. The technical term for this is Torticollis. I am aware of it…I am trying to fight against it…but I need new ideas, and having another set of eyes watching it will be good. We’re not positive why he does this. It can be more common in children with neurological issues. We also have vision concerns, so one theory is that he can see out of his peripheral vision better if he turns that way. Or perhaps he hears better out of his left ear. Regardless of why – we need to work on it early and often. 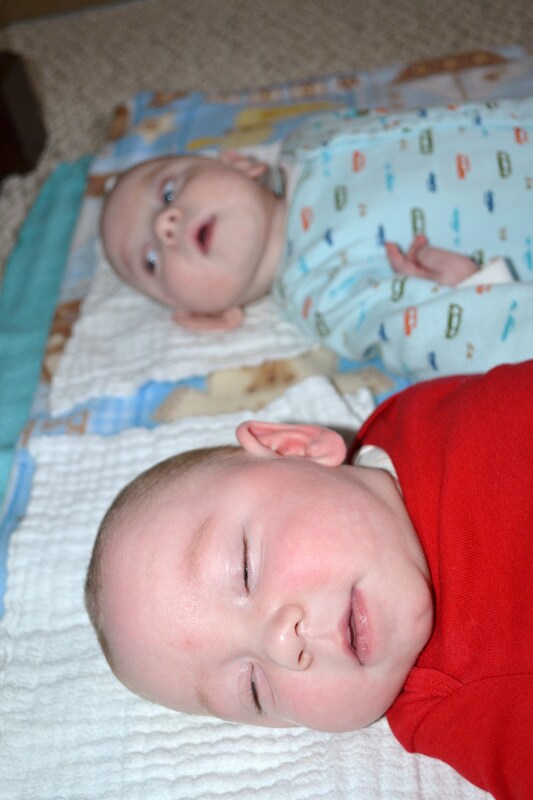 New ideas include: Incorporating neck stretches and flexing in to each diaper change for Nolan, and every other for Landon. Use objects to incentivize them to turn left. (Something soft against their cheek, our voices, lights, etc). Tactile/Touch: I have theorized that touch is their strongest sense. Perhaps because hearing and vision are impaired, or perhaps because of reactions/overreactions I have noted. New ideas include: (Wilbarger Protocol).Using a special brush on their limbs, hands, feet, and back 1-2 times per day. As well as joint compression. We will also continue to try to introduce new textures to their skin. And we see an opportunity to use their desire for something soft against their cheeks and face as a way to incentivize them to turn their heads left more often. There’s tons more to discuss, but those topics plus the initial assessment and getting to know each other made for a very full appointment with lots of great discussion! I’ll keep you posted as new ideas emerge, and as goals are checked off. It feels good to expand our team. We already have a very engaged and caring day care staff, and a developmental specialist who has been great at helping the day care and I implement ideas. Adding outpatient and the resulting daily “homework” will up the busy factor, but we are eager to kick it up a notch, and help these boys reach their full potential.